Discussion in 'Other Gaming Discussion' started by Lando452, Jan 29, 2019. 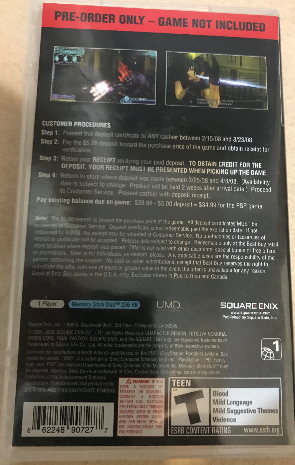 Anyone seen this display case before, can't find any info on it, got this on another forum. There is no game included. Having worked at Best Buy, can attest any sort of display items such as that are rare as chicken teeth. The Best Buy official corporate policy on such materials is that they must either be returned to the vendor or destroyed then trashed. During the three years I worked there, they held true on that policy. 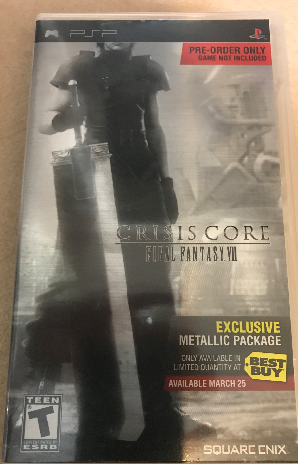 So for that to still be around would mean either Square Enix requested those case covers back (very unlikely) or someone rescued it from destruction and snuck it out of the store at risk of their job.